On February 8, 2003, Joan Ford took her first quilting class and was hooked! Since then, Joan has completed about 3-400 quilts. But who’s counting?! 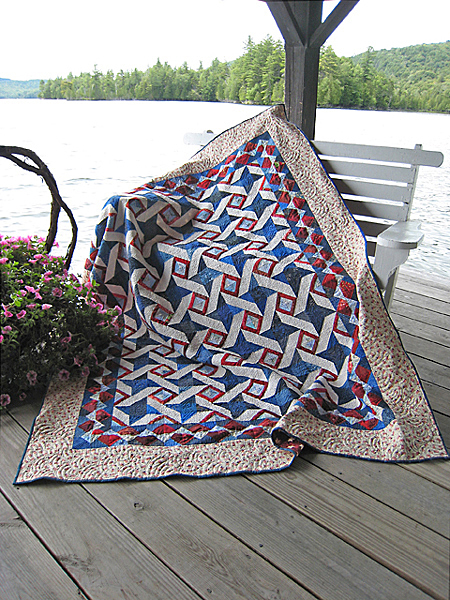 Collaborative designs appeared in Fons and Porter’s Love of Quilting and Quilts with Style. Joan also worked with Janet Wecker-Frisch, fabric illustrator, on several quilts in Fast-Finish Panel Projects for Kids on the Go! and Celebrate a Cozy Christmas. In 2006, Joan established her company, Hummingbird Highway. She teaches workshops, featuring the popular ScrapTherapy pattern series which helps quilters relieve the guilt of a growing scrap fabric stash. A thorough overview of the process is detailed in the book ScrapTherapy®, Cut the Scraps! published by The Taunton Press. Her second book ScrapTherapy®, Scraps Plus One!, released by The Taunton Press in 2013, follows along with more patterns that use scrap fabric in quilts and quilted projects. As an avid bird lover, Joan developed a monthly pieced pattern series called The FLOCK. 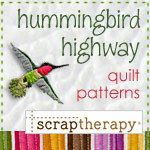 A new patchwork bird kit is shipped to member quitlers each month. As owner of Hummingbird Highway, LLC, Joan designs in her home studio and office. Joan, her husband, Dave, and their three pet birds live in Syracuse, New York.